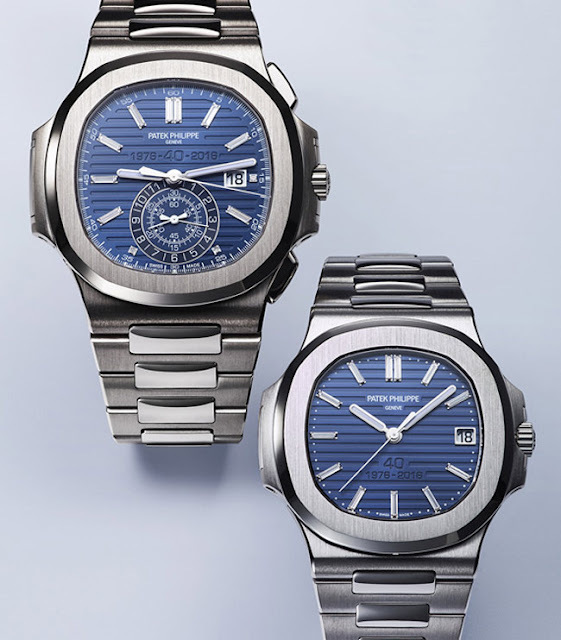 In 2016 Patek Philippe is celebrating the 40th anniversary of its casually elegant Nautilus collection with two Nautilus 40th Anniversary limited-edition models. 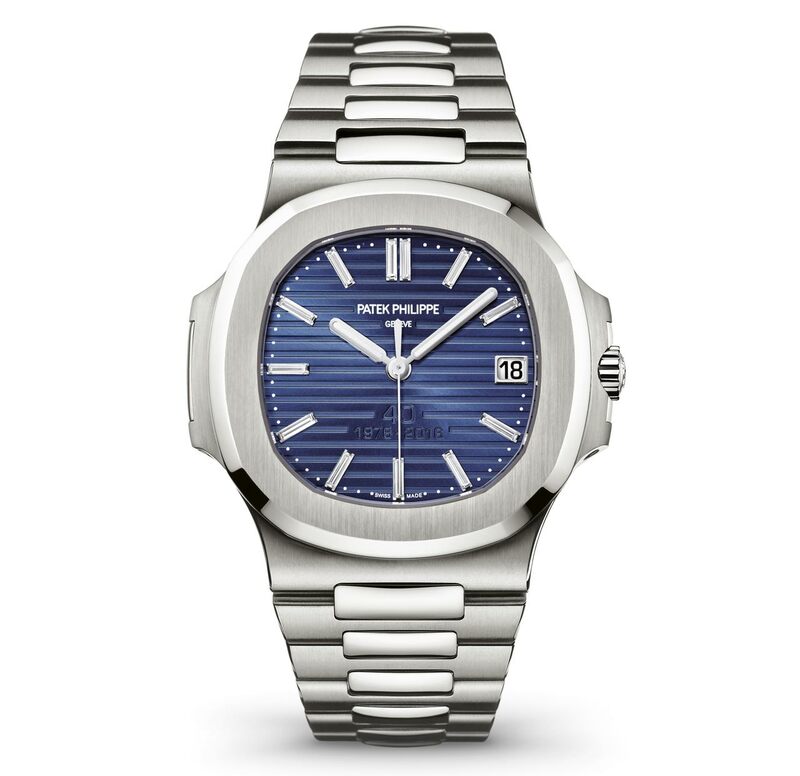 One of the most iconic luxury sport watches ever created, the Nautilus was designed by legendary designer Gerald Genta taking inspiration from the shape of a porthole, like those that could be found on transatlantic liners. The patented case was formed by a solid backcase/middlecase monobloc and the distinctive octagonal bezel secured to it by four lateral screws to ensure water-resistance. 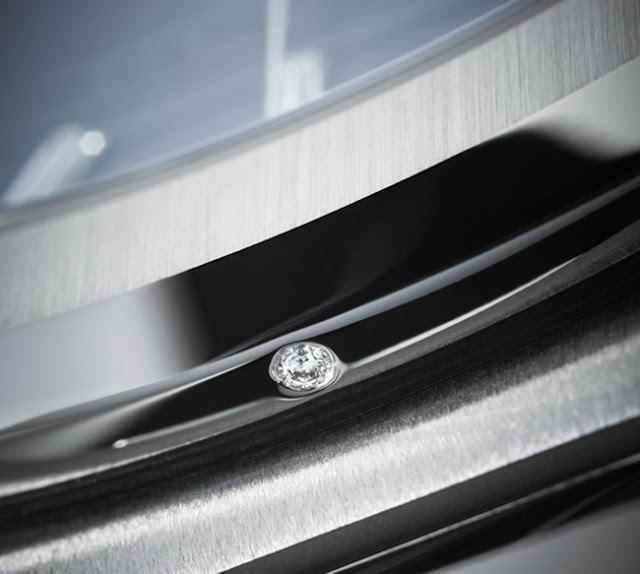 Each of the eight sides of the bezel were subtly curved to trace a perfect arc of a circle, a subtle detail making a big difference from a design point of view. 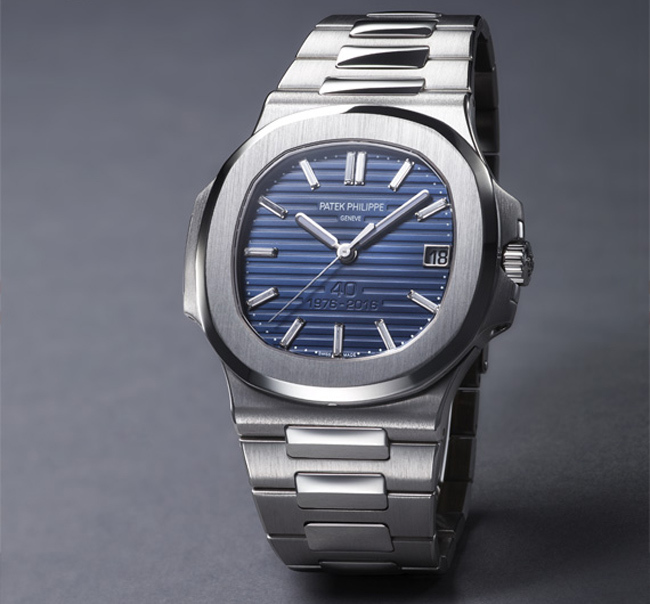 You can read the detailed history of the Nautilus, from the original reference 3700/1A presented in 1976 to the present days, here. 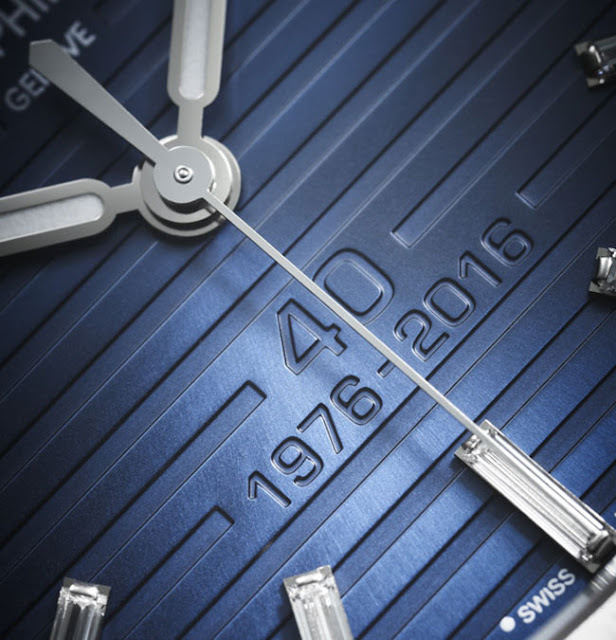 The Nautilus Reference 5711/1P 40th Anniversary will be available in a limited edition of 700 watches crafted from solid platinum 950. Platinum not only ranks among the most precious of noble metals but is also very challenging to machine. Its tough, ductile consistency abrades drill bits, milling heads, files, and polishing tools much more severely than gold or steel, requiring more efforts in working the three-part case and the link bracelet with different finishes, such as chamfering, satin-finishing, sandblasting, and mirror polishing. As all other Patek Philippe platinum watches, the new Nautilus 5711/1P is fitted with a white Top Wesselton diamond (approx. 0.02 ct.) in the bezel above the lugs at 6 o'clock. The dial of the 5711/1P is a special anniversary version as well. 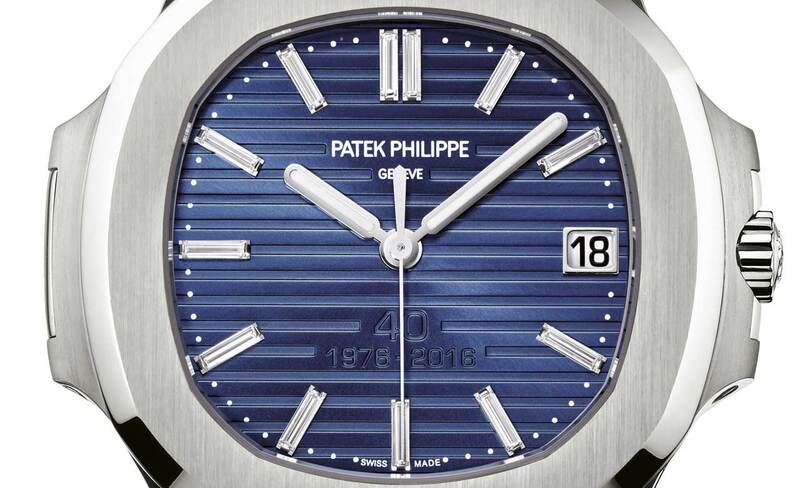 Featuring the typical horizontal embossing, it is made of 18K gold and unlike the original Nautilus features a dark blue hue with a bright/dark gradation from the inside to the outside that was chosen to complement the platinum tone while creating the right contrast with the luminous baton-style hour and minute hands and the hour markers: 12 applied batons in 18K white gold with Top Wesselton baguette diamonds for a total weight of approx. 0.34 ct. The bottom half of the dial is characterised the two-line anniversary citation "40" and "1976–2016". The self-winding calibre 324 S C movement - beating at 4 Hz (28,800 vibrations per hour) with a power reserve of 35 to 45 hours - ensures daily rate deviation of merely -3 to +2 seconds. 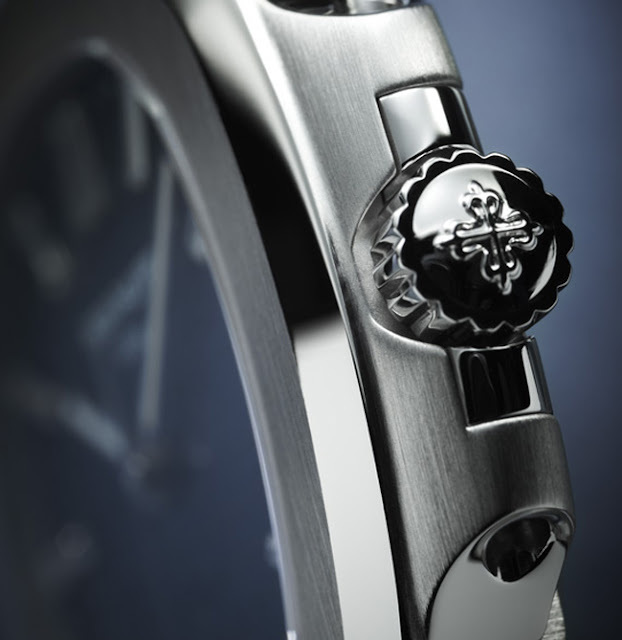 Through the sapphire-crystal case back, it is possible to appreciate the central rotor in 21K gold and the finishes of the components executed almost entirely by hand, including Geneva striping for the bridges, chamfering and polishing for the edges, polishing for the sinks, circular graining for the gold rotor, perlage for the plate, and gold-filled engravings. The 700 individually numbered watches will be delivered in an anniversary box, made of brown natural cork, which is an authentic replica of the stylish 1976 original. The price will be around US$ 105,000. The second anniversary model to commemorate the 40th birthday of the Nautilus collection is the self-winding flyback chronograph Reference 5976 in white gold. 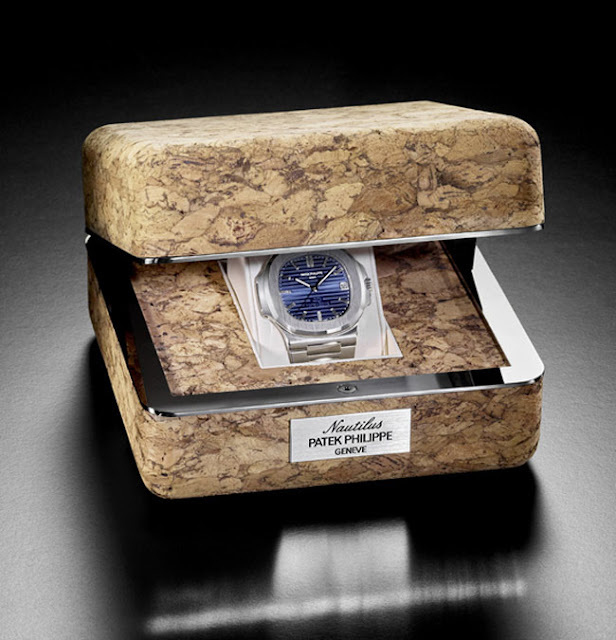 Its predecessor, the Reference 5980, was the first Nautilus chronograph that in 2006 was added to the Nautilus collection when it celebrated its 30th birthday. Both chronograph pushers are integrated in the design and easily operable. The larger format of the watch enhances the legibility of the chronograph mono-counter at 6 o'clock and leaves more space for the enlarged aperture date that is set in a mirror-polished white-gold frame. The three concentric scales of the mono-counter include the 12-hour counter on the outside as well as the minute counters from 1 to 30 in the middle and from 31 to 60 on the inside. The chronograph movement CH 28-520 C, developed and crafted in-house, is wound automatically by a heavy 21K gold central rotor. Beating at 4 Hz, it guarantees 45 to 55 hours of autonomy. The start/stop and flyback/reset chronograph functions are controlled by a classic column-wheel mechanism with a vertical disk clutch that handles the engagement and disengagement operations. Because it is virtually friction-free, the chronograph hand can be used as a continuously running seconds hand without causing mechanical wear. No No No. I hate that inscription on the dial. 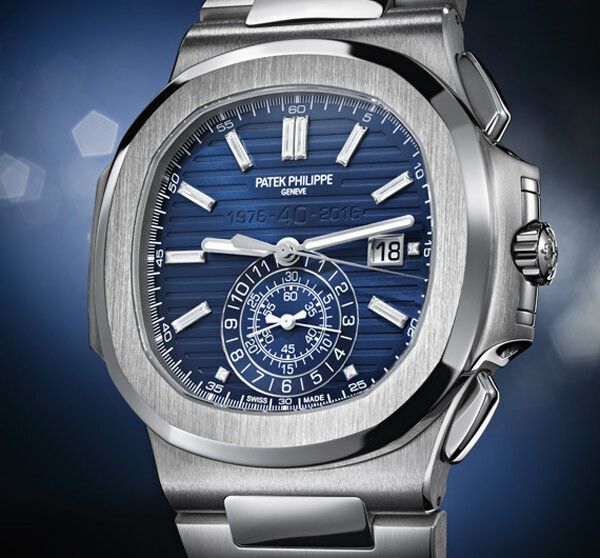 Patek Philippe Nautilus 40th Anniversary. Patek Philippe 40th Anniversary models. 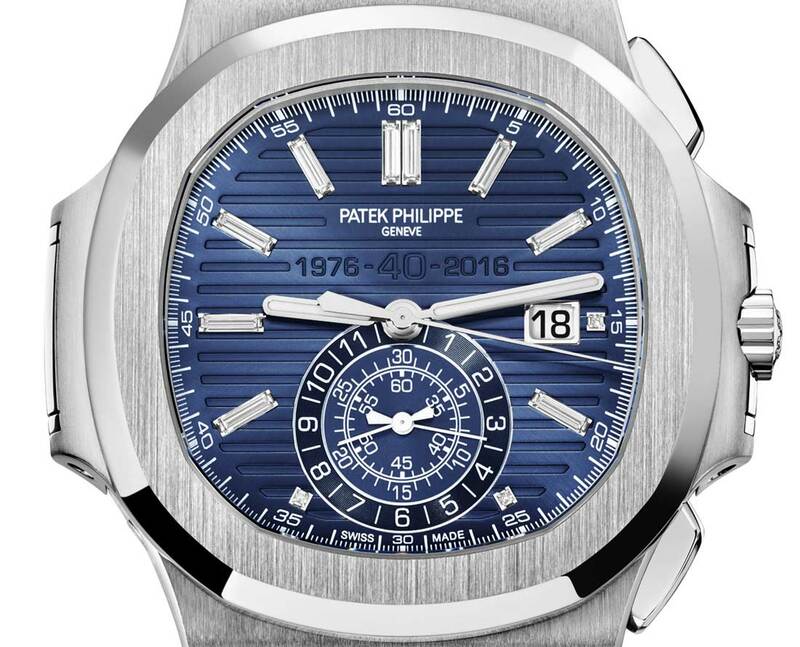 In 2016 Patek Philippe is celebrating the 40th anniversary of its casually elegant Nautilus collection with two limited-edition Nautilus 40th Anniversary models. Patek Philippe Nautilus Ref. 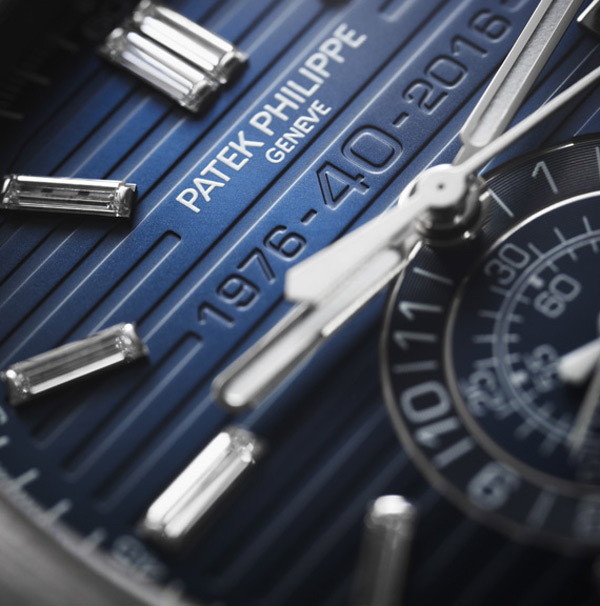 5711/1P 40th Anniversary Limited Edition. Price: US$ 105,000. Patek Philippe Nautilus Chronograph Ref. 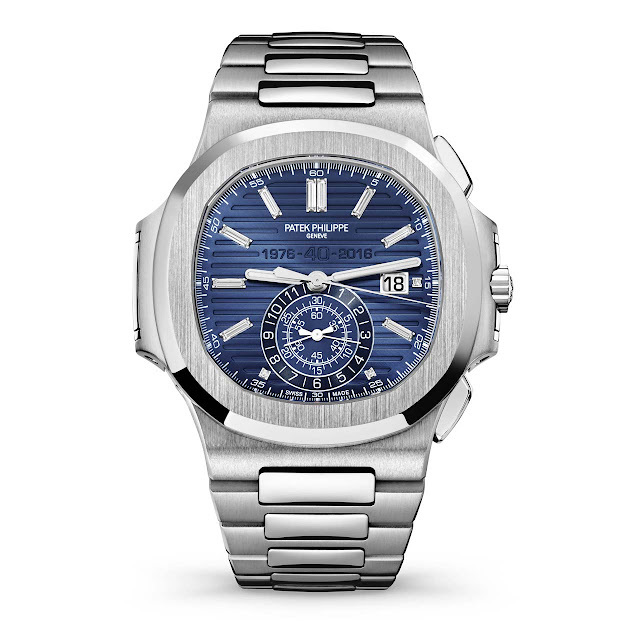 5976/1G 40th Anniversary Limited Edition. Price: US$ 90,000. Nautilus 2016 model. 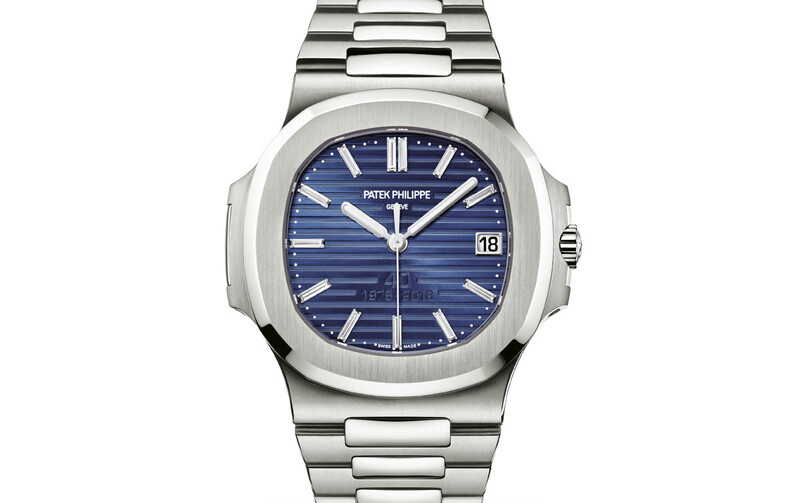 Patek Phlippe Nautilus platinum.